Little Rock Church’s women’s ministry exists to support women of all ages in their relationship with God so that through spiritual friendships, mentoring, modeling, and teaching one another, we will grow more like Christ and become all that God intends us to be. You are invited to participate in the various expressions of this ministry – for more information please contact the ministry leader, DeAnna McAlister, at womensministry@littlerockchurch.org. Our ministry is divided into 3 subgroups which provide a variety of ways for you to grow spiritually and connect with other women. Women’s Ministry strives to plan events where women of all ages can connect with one another – those we’ve known for years and newcomers to LRC. Often these events are centered around a service project for another ministry in LRC, the communitry, or a global need. Women’s Ministry seeks to plan a yearly weekend retreat for ladies to get away from the daily hustle to focus on spiritual teaching and renewal, draw closer to God, and connect with each other. 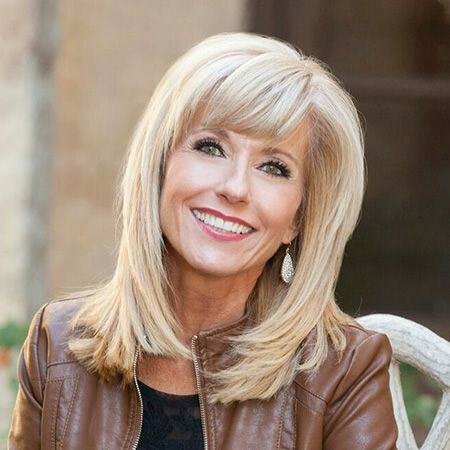 Ladies, join us this fall for the Beth Moore event in Hot Springs on Friday, August 17 – Saturday, August 18. We’ll stay the night in Hot Springs at the Arlington Hotel. Rooms have 2 double beds. The cost will depend on whether you choose a room with 2 or 4 people; $123 for a 2 person room, $91 for a 4 person room. This cost includes the hotel room and conference. Sign up deadline is June 3. Payment must be received when you sign up or you will not be registered to attend. Please see Sarah Tappe for more information or questions. Our Titus 2 Ministry seeks to help connect our older women (T2 Moms) with our younger ladies (T2 Sisters) in small groups. These groups consist of 3-4 T2 Moms and 8-9 T2 Sisters. The goal of these groups is to help move beyond surface level interactions between generations into deep relationships that help us all become more like Christ. Groups meet in a T2 Mom’s home once a month to share a meal, friendship, fellowship, and Bible study. There is an 9 month commitment from September through May. We would love for you to consider joining our Titus 2 family! If you are interested in becoming a T2 Sister register via the link below. If becoming a T2 Mom interests you, please contact Pam Reed or Sue White to learn more about this commitment.